This Moon-Day began here in the Eastern Time Zone with a couple of quincunxes from the Taurus Moon to Ceres in Sagittarius at 05:27 am and to Venus in Libra at 07:44 am, which had us sustaining our usual morning routines in a comfortable pace, while our mind was wandering off to more exciting pastures, a pleasant detour we had to leave in order to balance personal indulgences with a more productive approach. The Moon’s sesqui-quadrates around 11 am to her North Node in Capricorn and at 12:33 pm to Vesta in Libra create the necessary tension within, which could result in resoluteness, thereby demanding to build upon previous efforts for the achievement of our future prospects and to utilize our energy accordingly by restoring our commitment to these causes. Her squares to Neptune Rx in Aquarius at 02:39 pm and to Chiron Rx in Aquarius at 04:32 pm challenge our sensitivities in a way that forces us to become aware of certain expectations we hold onto or preconceived notions in a situation where we seem to have no clue how to proceed and therefore keep moving in circles. Once we’ll have overcome this ‘stuckness’, we’ll be ready to make the proper choice. 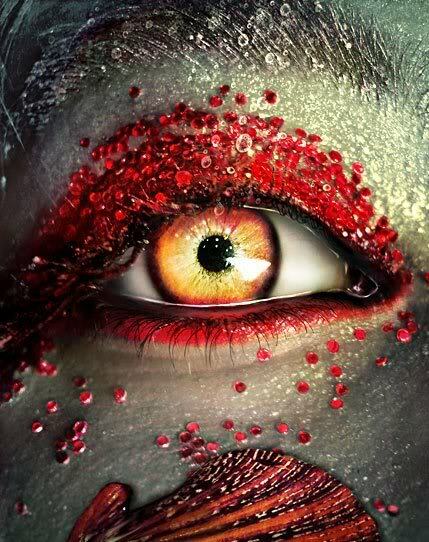 This will bring us back in touch with our vision and sense of individuality when the Moon forms a sextile to Uranus Rx in Pisces at 07:13 pm EDT, leading into the void of course phase that gives us a chance to reflect and sit with the impressions for a while. At 08:19 pm will the Moon ingress Gemini, thereby stimulating mental curiosity and inquisitiveness as well as the bouncing back and forth of ideas until a perspective is emerging when she engages in a dynamic sextile with Jupiter Rx in Aries at 10:08 pm. 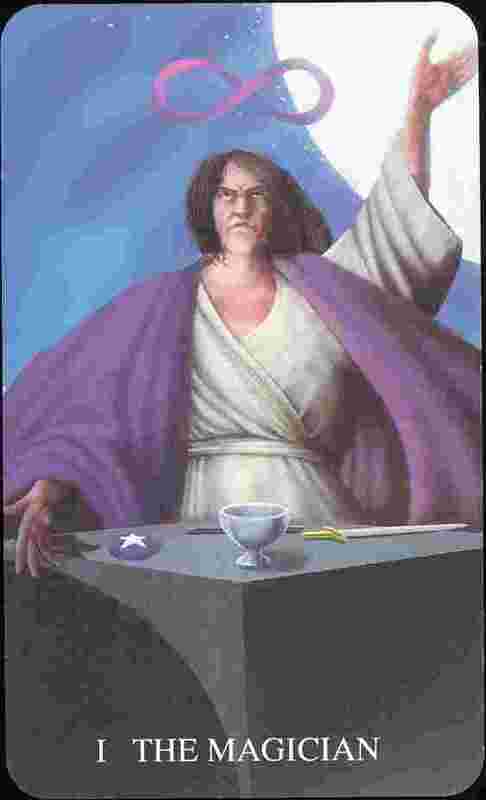 Tarot card of the day is “The Magician”, suggesting that the time has come to approach our whole life or a situation with a new creative and original attitude. 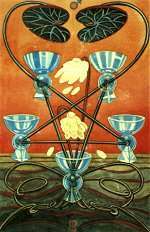 By utilizing the four tool to our disposal – the sword of intellect, the wand of inspiration, the cup of emotion and the pentacle of practicality – we can tackle the important issues that need to be dealt with. We have control over our destiny and can achieve our goals if we set our mind to it. The Sun in Virgo forms a tense sesqui-quadrate to Eris Rx in Aries and Ceres in Sagittarius a flowing trine to the latter, implying that observing ourselves with a healthy dose of criticism is essential to our Self-improvement, which in turn will allow us to grow in mindfulness. Juno in Leo’s sesqui-quadrate to Uranus Rx in Pisces elucidates the progress we made in this regard, which will ultimately serve our best interests as it’ll bring forth our individualism in a way we can be proud of. 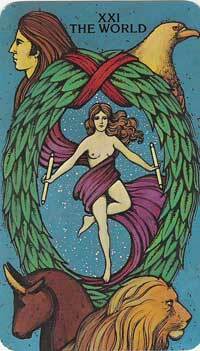 Tarot card of the day is “The World” with the message ‘I am co-creator of my world and all I wish for I can have’. This card generally indicates that you have arrived at your destination or have reached the culmination of a long series of events. It suggests moreover that there is a dawning realization and understanding of where you are at for the first time in a long time. A cycle is ending and you’re ready to move on. All elements are now coming together in order for us to achieve not just success, but soul fulfillment. Thus, The World also signifies a happy frame of mind – a time when we feel whole, integrated and satisfied with ourselves and our lives. We seem to understand other people better, we see how everything around us is interconnected and we feel energized and desire to work in collaboration with others on meaningful tasks and projects. In an exclusive interview five years after Hurricane Katrina made landfall, NBC’s Brian Williams and President Barack Obama discussed New Orleans’ recovery, the state of the economy and Americans’ questions about his faith. Obama stated: “I’ll make sure we get the job done.” – Here we an example of healthy self-criticism, whereby the U.S. president demonstrates of ‘which kind of mind’ he is or in other words, shows a confident mentality and determined attitude, thereby displaying his individuality, which is a combination of pragmatism, objectivity, logic and a sharp intellect. Personal note: I finally harvested the lavender from our herb garden this morning, which I will use for making my own bath essence, bringing a project to completion I started back in spring. The other herbs from that garden are already dried or frozen in plastic bags. If I get chance to find the right bottles next week when J will be on vacation I’ll also make some rosemary oil. My natal Uranus-Chiron opposition progressed this spring from Libra/Aries into Scorpio/Taurus and as a consequence I strenghtened my connection to the Earth and wished to participate in the seasonal rituals consciously and practically. This also inspired me to take up my knitting hobby again. So, I’m now giving expression to individual likes and values, which laid mostly dormant within my inner Self, by actively pursuing different outlets for my creativity and sense of beauty and wellbeing, thereby gently soothing my soul as I go NATURAL. A sesqui-quadrate between Pallas in Scorpio and Jupiter Rx in Aries provided us with the necessary determination to move ahead with our strategy in order to influence the direction things would take. 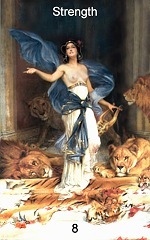 After the Moon’s Taurus ingress at 10:35 am EDT was the atmosphere supportive for sensuous enjoyment and pleasure-seeking activities, aided by Venus in Libra’s sextile to Ceres in Sagittarius that assisted us in increasing our sense of wellbeing by nourishing a state of harmony and inner peace. This was especially important as Venus also opposed Eris Rx in Aries and formed a square with the nodal axis, thereby emphasizing conflict resolution to bring inner and outer into accord, which would consequently affect our attitude and level of emotional maturity. 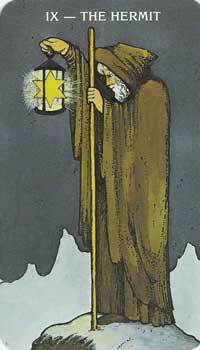 Tarot card of the day was a double – “The Fool covered by The Hermit”. 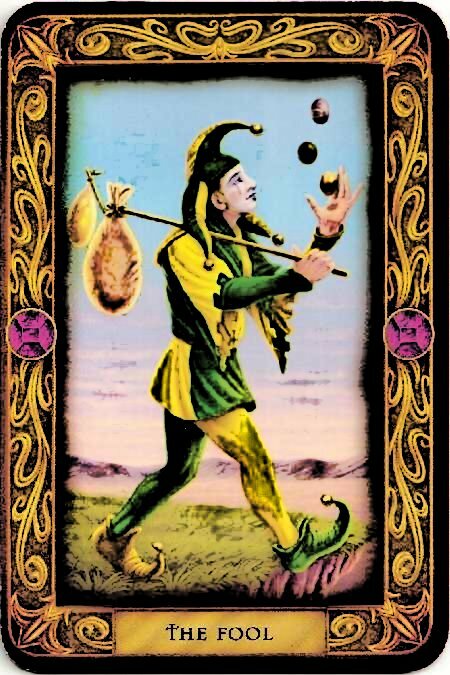 The Fool represents spontaneous action, unlimited potential and the start of a new journey, stating that we are now ready for change and that’s time to seize the day and enjoy it for what it is, while The Hermit places the emphasis on careful moving along our path, taking every step with a deliberate, conscious approach, thereby recognizing that each of our thoughts and actions has an effect upon the path ahead as we partake in the creation of our own reality. Thus, as we’re seizing the day, we were walking a fine line. Personal note: Yesterday was a wonderful day for me that not allowed me to take my plans one step farther, but also provided me with contentment and happiness. Because I seized the day and engaged in spontaneous activities, I only started my computer later at night for a short time and didn’t work on anything. It was a day of enjoyment and relaxation. We left after breakfast to drive to London in order to take care of our weekly grocery shopping, which gave me finally a chance to purchase a few things I wanted to be able to give this area here, where my desk is sitting, a nicer look and make it more appealing – that is once I’ll be finding the proper cabinet, where to store all my stuff when the desk and the filing cabinet will be moved out from this space. Everything proceeded along smoothly and fairly so far, mostly because the stores weren’t too busy yet and therefore we could actually push our cart through all the aisles unhindered, instead of having to struggle to get from one end of the store to the next. Thus, we had actually a chance to look at some things without getting stressed out. On our way to the Loblaws my daughter called and asked if I would want to go to the beach with her later on to which I responded with great enthusiasm. Although we hurried up from then on, J still brought me to a plaza, where a few homes stores have been newly built, lined up along one side. There I bought a few accessories and then packed them on the seat on the small space between us in the truck’s cabin. At that time got J a call from Alex, who lives in London and needed a ride, which got us into an argument, because I wanted to get my stuff home safely and couldn’t see how the three of us would fit in there with all the stuff we couldn’t load on the back to prevent it from breaking. However, my worries were unfounded. Alex is a small person. He had to take the heavy chest on his lap, but seemed to be fine with it. We made it home ‘intact’. As soon as I had the groceries stored away did my daughter arrive here. I quickly changed into my bikini, grabbed a blanket and two towels plus the sunscreen and then we drove to the nice, sandy beach in Grand Bend, where it was packed as usual. We still found a good spot and couldn’t wait to feel the refreshing waters of Lake Huron on our heated skin. The weather was perfect for such a lazy, enjoyable summer afternoon – the Sun’s rays were so strong that our feet burnt as they came into contact with the sand. However, a gentle, cooling breeze was welcoming us in the vicinity of the lake. I haven’t been that happy in a long time and was very grateful for all the good things this day had brought into my life and for being able to spend quality time with my wonderful daughter, who is a true sweetheart. A sextile from Mercury Rx in Virgo to Pallas in Scorpio today comes as a recommendation to take advantage of our ability to control our thought processes from a place of inner resolve, thereby utilizing our analytical and observational powers. Tarot card of the day is “Strength” with the message ‘I must overcome my fears’. Not brute strength or aggression and personal revenge, but love and compassion are now required to bring about a solution to a situation. It relates to the energy of inner strength, persistence and stamina as well as the power of quiet and calm determination. Be ready to face up to your fears. It’s time to tame the all-consuming lion, the beast that lurks deep within. It’s another Moon-Day and one with heavy overtones that can raise a few tempers as it started here in the Eastern Time Zone with an early square from the Moon in Aries to Pluto Rx in Capricorn, followed by her opposition to Saturn in Libra at 06:03 am EDT. Overreactions could’ve been the result, which would consequently set off the fragile balance in a lively atmosphere that otherwise supports emotional spontaneity. The Moon’s quincunx to the Sun in Virgo at 07:01 am EDT then settled any agitation we may have experienced by moderating our expression. An opposition from the Moon to Vesta in Libra in the late afternoon confronts us with commitment issues, where we have to assess our determination accordingly if we want to achieve our goals, especially as we’re feeling the strong pull of our destined prospects when the Moon will square her nodal axis, thereby forcing a decision in regard to taking responsibility or side-stepping it by giving in to unproductive habits. However, once the Moon will semi-square Neptune Rx in Aquarius at 11:04 pm EDT it’ll be time to wind down and get some rest. Tarot card of the day is the “10 of Cups”, suggesting feelings of contentment and peace, of being at ease after the harmony has been restored and hostilities have been done away with. The emphasis is on realizing that our relationships are a direct reflection of our relationship to ourselves; whereby the outer landscape mirrors to us the inner scenery. Keep a smooth emotional flow within yourself. This inner balance is vital. Personal note: I wanted to see Angie again before the weekend. Therefore, I got ready to leave the house around noon and went to the post office to check our mailbox and then to her store, where I was warmly welcomed by her and offered a nice cup of tea. One cup turned into three, while we were enjoying each others’ company and she had once again a few amazing stories to share related to totally exciting developments, all of which sounded very promising. Blessings seem to be on the way, deservedly, after all the good vibes she has sent out with unwavering faith and strong, loving spirit and the energy she has dedicated to the cause of the hemp plant, thereby nourishing her vision of as well as her ambitions toward a ‘green earth’. 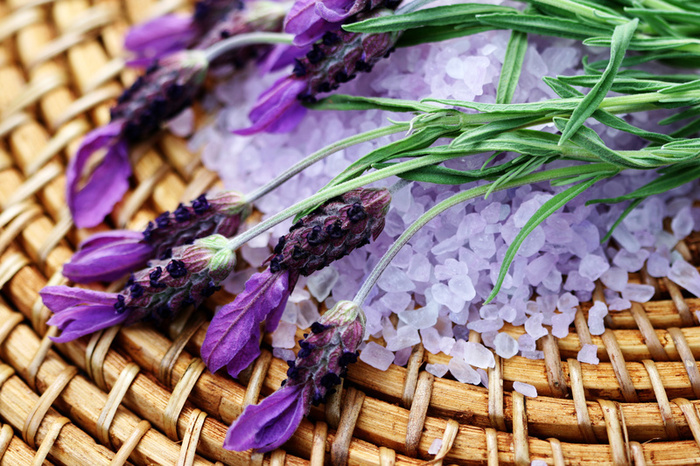 Of course, she had the lavender oil I’ve been looking for all along and upon my leaving she pointed out that I was wearing a t-shirt in the color of the lavender. Ask and ye shall receive. The Solar Eclipse and Cancer New Moon on July 11, 2010, fell into my 11th house, the area related to social creativity and group purpose. It activated the mystical rectangle configuration in my chart with dynamic and flowing aspects and thus also triggered a few midpoints in addition to forming a square to SAD Mars in Libra. One could say, things have been set in motion and have been carrying me along on a rather pleasant current that makes it relatively easy for me to ‘ride this wave’. Thus, I responded consciously to the developments with full awareness of the stakes involved, acknowledging that I had to move on and that the time had come for me to confront and resolve my inner conflicts during the process. 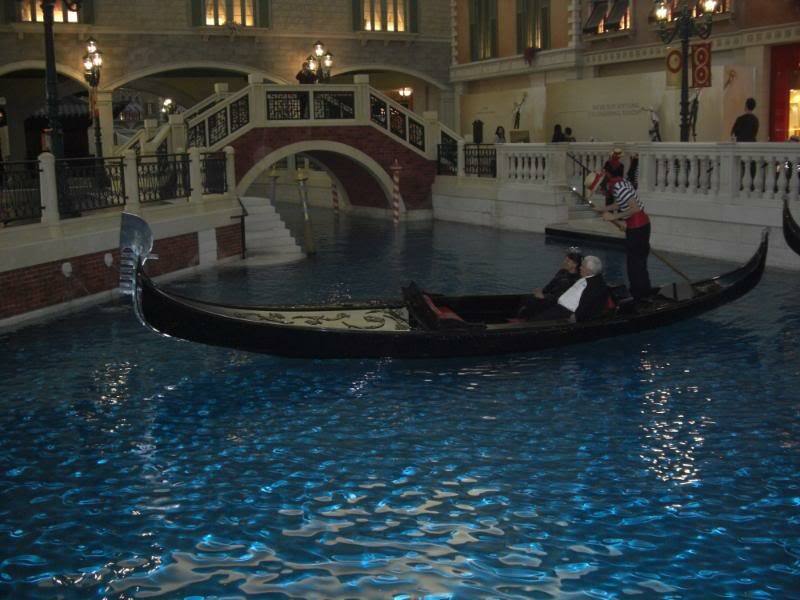 With the Sabian Symbol stating “Venetian gondoliers giving a serenade”, the message that sounded forth and will be relevant for the next half year is to take it to the next level, which will result in “happiness as an overtone of social integration and conformity to custom”. Social integration has indeed been the theme for me since I had taken up my residence in Canada, which was back in 2000 when the July Eclipse was conjunct the North Node in the sign Cancer. At this time, the July Eclipse is conjunct the South Node in Cancer. Over the course of the past decade did I begin my study of astrology that opened my mind to new levels of consciousness as promised by the Sabian Symbol for my natal Mars, ruler over house 9 of the higher mind. This meant that I crossed the ocean physically and metaphorically. And it was an ocean, not just a river – I found myself on another continent altogether. My whole life philosophy changed; everything I knew and had been taught from birth on was left behind in this process together with my land of birth, my family of origin, my friends and my social circle. The more self-aware I became the more I withdrew (Mars in Virgo opposite DSC-Vesta in Pisces). It took me a long time to get past the point of Self-undoing (Mars in house 12). Feelings of insecurity coupled with self-doubts were holding me back, while I kept focusing on my limitations instead on my capabilities. But Mars has progressed to the apex position of a t-square with my natal nodal axis by secondary progression, marking a crossroads in the line of destiny. Progressed by Solar Arc Directions he’s at the apex of a yod with natal Jupiter Rx in Taurus in house 9 and natal Moon in Pisces in house 7, another indicator for a necessary adjustment that requires that I assert myself in a more visible, palpable way and start to reach out to close others. And the other ‘planetary players’ are following suit with the SP Moon and SAD Venus squaring off natal Mars. Consequently, the pressure has been building up to motivate me accordingly; no more delays and hesitating, indecisiveness and vacillating. With the Eclipse on the South Node, it’s time to release what has been accumulated. I’ve been approached and encouraged from different people and practiced with Angie when I had the opportunity to do so. We both enjoyed it though, which in turn provided me with more confidence. Then came the First Quarter Moon on July 18 and my daughter showed up for a surprise visit. However, we had to leave our place in the sun out on the deck soon as a thunderstorm was passing over us. At this crisis in action did the waxing Libra Moon square the Cancer Sun, for me from house 3 (close surroundings/communication/short distance travel) to house 11 (hopes, wishes, social creativity). We coddled up in blankets inside (Cancer) and I finally had a chance to talk to her about her Solar Return chart (“guests are reading in the library of a luxurious home” was the keynote for the Moon), but since it was so dark and cold and uncomfortable in here on a summer day and she wanted for me to experience something other than the surrounds I’m used to day in and day out, she suggested to drive to Grand Bend to join the social scene (Libra) as soon as it looked friendlier outside. But Grand Bend is directly on the lake and therefore the nasty thunderstorm was circling over it. The moment we entered town, it was pouring rain and then even hailing like I’ve never seen before, which forced us to stay in the car. Thus, I came around (house 3) and had a look at the social scene (house 11), but we had to return home due to the weather. Therefore, socializing attempts were tested and the challenge was to remain balanced, composed and poised under uncooperative conditions in order to nurture the bond by simply enjoying the moment, being happy and content as well as grateful for the good company and the quality time spent together, thereby sidestepping the inconveniences and discomfort (“the interaction of spiritual will and love principle” was the keynote for the Sun). We got our chance to join the social scene anyway on July 25, at the time of the Aquarius Full Moon that happened for me in houses 5 (recreational activities, children) and 11 (social participation). Lucia, my daughter, and I drove to London to the White Oaks Mall, where they had a sale (“a middle-aged woman, her long hair flowing over her shoulders and in a braless, youthful garment” was the Sabian Symbol for the Leo Sun) and I for the first time in a long while opted for more sophisticated clothes. I don’t say age-appropriate, because I still dress young. (“the will to meet the challenge of age in terms of our modern society’s glorification of youth” was the keynote of Sun Symbol). But somehow, with transiting Venus leaving a conjunction with natal Pluto that day, my taste in clothes had changed as I envisioned myself on an upgraded social level as a business woman (“desocialization” was the keyword for the Full Moon). The sight of the spectacular Full Moon disc on our way home only affirmed this feeling. The Sun in Virgo’s waning trine to Pluto Rx in Capricorn indicates that a state of personal empowerment and inner stability has been achieved, thereby suggesting that the alchemical process we underwent was successful. Preceding her Aries ingress at 10:49 pm EDT, the Moon in Pisces will engage in semi-sextiles with Neptune Rx and Chiron Rx in Aquarius and then form a conjunction with Uranus Rx. This could be a highly imaginative time or just feel confusing or both, when sensitivities will be stirred, coloring our visions accordingly and thus could inspire sudden revelations, sending us to bed in an excited, animated condition that could stimulate vivid dreams. Tarot card of the day is the “5 of Cups”, bringing with it a sense of emotional emptiness and feelings of melancholy and sentimentality, which accompany this ‘letting-go-process’, implied by the astrological aspects. What has been lost or spilled are the psychic contents we finally released in our personal Full Moon ritual. A time of reorganizing our life begins, where we focus on our higher potential. The 5’s are related to change and contain an element of both – destruction and creation, implying that we need to free ourselves from the restrictions symbolized by the 4, before we can move on and create anew from a higher level of consciousness. Chilean officials are taking measures to alleviate depression among the 33 miners trapped in a collapsed mine after telling them it might be months before rescuers will reach them, according to a report. The news service said the government was taking steps — from getting doses of anti-depressants for the men to sending down fresh clothes and games — to help keep them physically and mentally fit for the grueling wait ahead. Establishing a daily and nightly routine is important, the minister said, adding that having fun also will be critical. The rescue team is creating an entertainment program “that includes singing, games of movement, playing cards. We want them to record songs, to make videos, to create works of theater for the family.” officials are also planning exercise and other activities to keep the miners healthy and trim, using some of the passages that remain accessible to the miners. The miners and their relatives are exchanging letters via the shaft, a crucial part of maintaining their mental health. – In this case, the Sun-Pluto trine indicates that well-thought out steps will be taken to keep the miners healthy and fit during their underground trial (that has many connotations to an initiation ritual) that might take months. The officials in charge are managing the situation in a truly exemplary way by utilizing their highest potential. 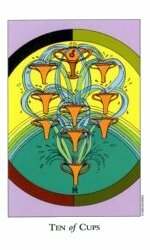 The sadness and loss associated with the 5 of Cups most be overcome with the inventiveness of the higher mind.